Let’s start the week with a bang! 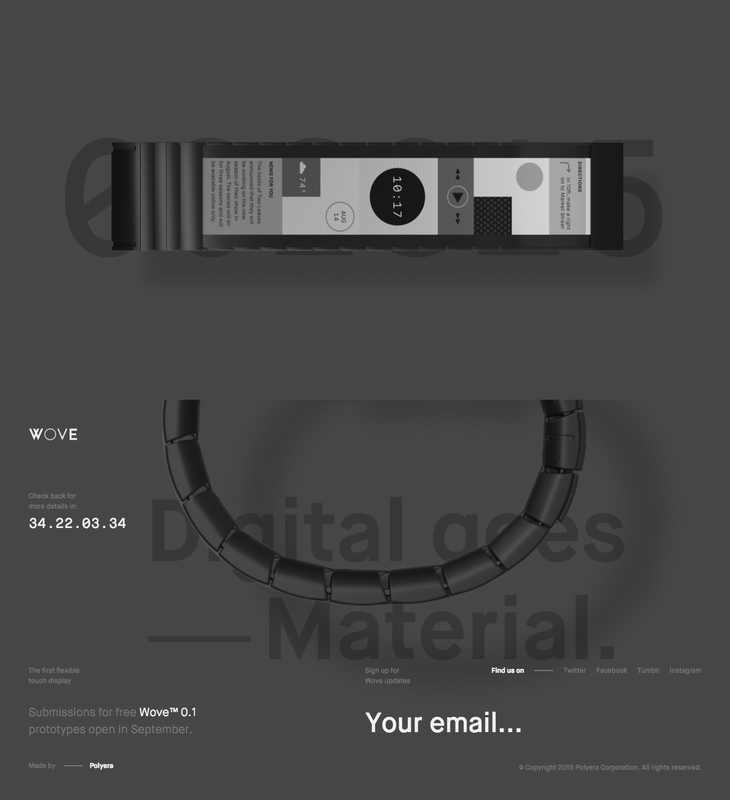 An absolutely gorgeous product load transition in this One Pager for ‘Wove’ – the worlds first flexible touch display watch. Borne out of over ten years of fundamental research in the chemistry and physics of flexible TFTs, Polyera Digital Fabric Technology is a revolutionary platform at the intersection of science, engineering, and design, all with one aim: to enable the production of flexible electronics products at scale. Enabled by this platform, in mid 2016 Polyera will begin shipping the Wove™ Band, the world’s first flexible display product you can wrap around your wrist.